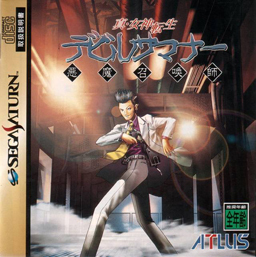 The Devil Summoner franchise is a spin-off of the popular Japanese franchise Megami Tensei. In the first game, the player character (PC) is a college student who, along with his girlfriend, is attacked by demons. They are rescued by Kyouji, a demon hunter. The demon hunter and PC die, but the PC finds himself in the body of Kyoji (whose voice guides the player). The PC and Kyouji’s partner Rei then attempt to save the PC’s girlfriend. In the sequel, Devil Summoner: Soul Hackers, the PC is a hacker. The PC fights their way through demons in a series of dungeons and solve puzzles with a team of NPCs. Devil Summoner: Raidou Kuzunoha vs. The Soulless Army is similar, but the new PC is Raidou Kuzunoha, a high-school-student-turned-devil-summoner. Devil Summoner 2: Raidou Kuznoha vs. King Abaddon, which is technically the fourth game in the series, continues the story with Raidou.